Constance "Connie" J. Prybylo, age 66, formerly of Hancock Street, Salamanca, New York, died Friday afternoon, October 25, 2013 at WCA Hospital, Jamestown, New York, following a long illness. Connie had been a residence of Heritage Green Rehab and Nursing Facility in Greenhurst, New York for the past 2.5 years. Born March 19, 1947 in Salamanca, New York, she was the daughter of the late John and Loretta Prebis Prybylo. She was a graduate of Archbishop Walsh High School, Class of 1965. She had attended St. Bonaventure University and later graduated from W.C.A School of Practical Nursing. 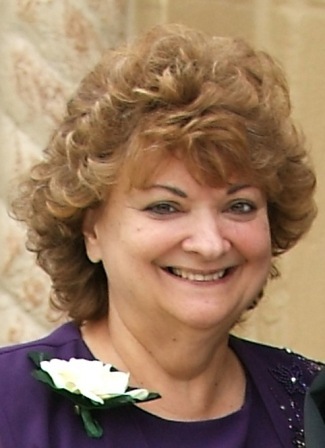 She was a certified home health care provider for New York State, and cared for many clients in her home. She had been employed as a nurse at WCA Hospital in Jamestown, New York, Cattaraugus County Nursing Homes, and the former Salamanca District Hospital. She also had worked at the Olean Medical Group. She also was a NYS Civil Service Examiner. Connie's greatest love was her family and spending time with them. She also loved all animals, especially her Boxer dogs. She was a member of Our Lady of Peace Parish where she served as Eucharistic Minister. For many years she planted and took care of the flowers at the former St. Patrick's Church as well as the entrance and priest's graves at Calvary Cemetery. Surviving are: 1 son, Christopher (Emily Heck) Prybylo, Bemus Point, New York; 1 sister, Janet (Raymond) Kyser, Allegany, New York; 1 nephew, Daniel (Kristen) Kyser, Severna Park, Maryland; 3 nieces, Lori (Ali) Ameli, Holliston, Maryland, Kathy Kyser, Rockville, Maryland, and Molly (Keith) Walton, Painted Post, New York; 4 great nieces and nephews, Bijan and Ariana Ameli , and Tully and Brynn Walton; 1 aunt, Isabel Prebis; several cousins, and a special friend, Jeannie Deppa. Friends may call at the O'Rourke & O'Rourke Inc. Funeral Home, 25 River Street, Salamanca , New York on Tuesday from 5-8 p.m. A Mass of Christian Burial will be held on Wednesday at 10:30 a.m. at Our Lady of Peace Parish with Rev. Patrick Melfi, officiating. In lieu of flowers, the family suggests memorials to the Chautauqua County Humane Society or the Empire Animal Rescue Society.